Tributes flow for Annalise Braakensiek, including from Fat Pizza co-star. Tributes pour in for Annalise Braakensiek, & more in News in 5. 1. Tributes pour in for Australian model Annalise Braakensiek found dead in Sydney. Friends and colleagues have remembered Annalise Braakensiek as “a kind ray of light who just wanted everyone to be happy”. The Australian model, designer and actress was found dead in her Sydney apartment by police on Sunday afternoon. There are no suspicious circumstances surrounding her death. The 46-year-old had acted in SBS comedy series Fat Pizza as character Claudia Macpherson, and had a small role in Seven’s Home and Away. She also worked with several charities including R U OK?. Fat Pizza actor Rob Shehadie said he was “gutted” to hear of Braakensiek’s death, describing her as an “amazing person”. R U OK put out a statement expressing their sympathies to her family and friends. “We couldn’t have asked for a more genuine, kind and sincere spokesperson,” they said of her. Studio 10 celebrity commentator Craig Bennett remembered his friend as an “absolutely gorgeous soul”. Even those who worked with the designer for a short time had kind words to say, including ABC reporter Lucy Thackray. “Horrible news about beautiful Annalise Braakensiek. We worked on segments together for #RUOK day. She was so special,” she tweeted. Braakensiek’s Instagram was flooded with messages from fans sharing their sadness. “The world lost a beautiful person,” wrote one follower. “Rest in peace you beautiful lady. You touched many people’s life you will be remembered,” shared another. If you or anyone you know is experiencing depression or crisis, you can always phone Lifeline on 13 11 14. 2. Thai officials give assurances they won’t deport Saudi teen. Thai officials say a young Saudi woman holed up in a Bangkok hotel room seeking asylum in Australia will not be forced by them to return home. 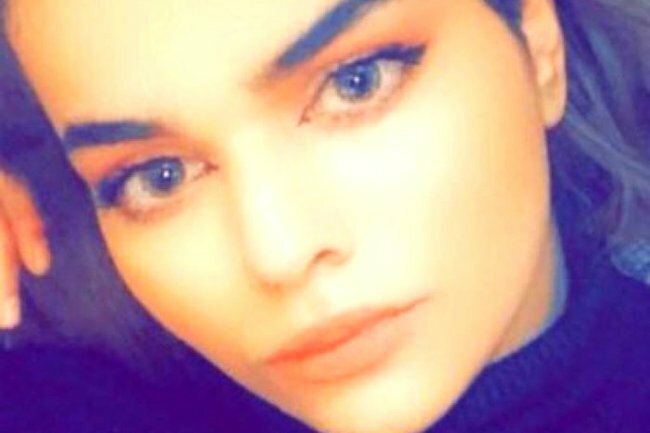 Rahaf Mohammed Mutlaq Alqunun, 18, claims she was abducted on Sunday and Saudi Arabian diplomatic staff confiscated her passport on arrival at Bangkok&apos;s Suvarnabhumi airport. She subsequently appealed for help from Australia, Canada, the United States, Britain and other European nations. "Please I need u all. I&apos;m shouting out for help of humanity," she tweeted. Ms Alqunun said she was being held at an airport hotel by diplomatic and airline staff, despite having a visa to travel to Australia. She wrote of being in "real danger" if forced to return to her family under pressure from Saudi authorities and has claimed she could be killed. Thailand&apos;s chief of immigration police Major General Surachate Hakparn told reporters Ms Alqunun&apos;s father was expected to arrive in Bangkok on Monday night, however she would not be sent anywhere against her wishes. General Surachate said he would also meet with UN officials himself to discuss her asylum plans. The UNHCR had earlier on Monday issued a statement saying it was following the case and "trying to seek access from the Thai authorities" to meet with Ms Alqunun to assess her need for international protection. Labor&apos;s foreign affairs spokeswoman Penny Wong said she was concerned by the reports over the situation and had sought further information from the government. "It is a very distressing position she is in," Senator Wong said. Germany&apos;s ambassador to Thailand, Georg Schmidt, posted a message of concern on Twitter, which he said he was conveying to Thai authorities. "She will be deported to the state of Kuwait where her family live," the Saudi Embassy said in a statement. "The embassy does not have the authority to stop her at the airport or anywhere else." Saudi women are subject to strict male guardianship laws and must obtain consent from a male relative for travel documents. 3. NSW police apologise for extremely racist Facebook post. The NSW police force has officially apologised to state Greens MP Jenny Leong after officers posted racist comments about her on Facebook. The offensive material mocked Ms Leong&apos;s ethnic background and included the lines "2 dolla sucky sucky lub u long time" and "swamp monkey". 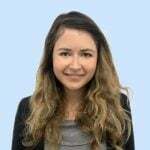 Ms Leong reported the matter to the former Police Integrity Commission and following a finding that there was no reasonable prospect of conviction, it was referred back to the NSW Police Force in 2017 for an internal review into a reported 10 officers. While Ms Leong received a letter of apology from the commander of two officers involved in November 2018 she said she was still unaware what action was taken against the officers involved. This prompted the Newtown MP to lodge a complaint with the Australian Human Rights Commission alleging the comments amounted to racial hatred under Section 18C of the Racial Discrimination Act. She sought an apology from NSW Police and a public statement acknowledging officers engaged in unlawful and offensive behaviour. She also demanded the force provide cultural and racial awareness training. NSW Police responded on Monday by stating all officers should treat every member of the community with respect. "In December 2017, (the) NSW police force made sustained findings including that the off-duty conduct had taken place and took disciplinary action against some of the officers," the force said in a statement. "The NSW police force has apologised to Ms Leong." The statement concluded: "As part of the NSW police force&apos;s commitment to ongoing training of all officers a training package specifically focusing on the use of social media will be developed to complement the existing training undertaken by all officers and members." Ms Leong on Monday welcomed the police response. "This statement was the result of the (AHRC) complaint," she told AAP. "We settled the complaint on a confidential basis. I&apos;m pleased this is resolved." 4. 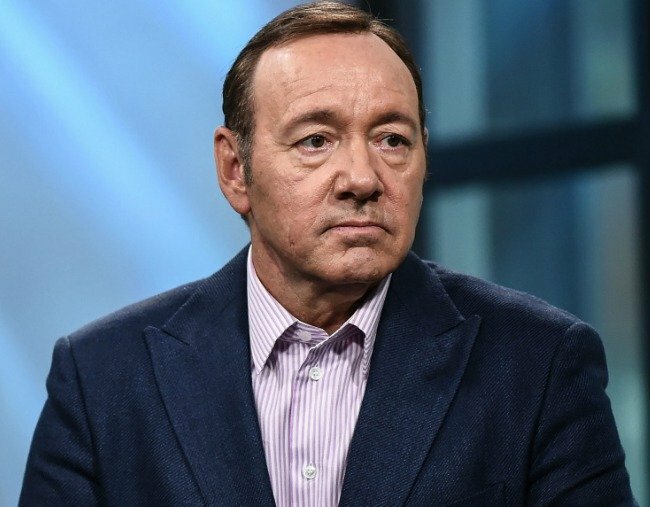 Kevin Spacey pleads not guilty to groping teen in bar. Kevin Spacey has pleaded not guilty to sexually assaulting an 18-year-old man at a bar in Nantucket more than two years ago while a judge ordered the man to preserve his mobile phone data from the time. Dressed in a grey suit and tie, Spacey did not speak during a brief hearing at Nantucket District Court on Monday to face one count of felony indecent assault and battery, though a plea of not guilty was entered on his behalf by the court. The judge set another hearing for March 4. Spacey does not have to appear, the judge ruled, but he needs to be available by phone. He must also stay away from his accuser and his accuser&apos;s family, the judge ordered. Spacey&apos;s lawyer Alan Jackson persuaded Judge Thomas Barrett to order Spacey&apos;s alleged victim to keep all data from his mobile phone for six months following the July 7, 2016 incident. Jackson said the data was "likely exculpatory". Jackson said in court papers that police reports showed the 18-year-old busboy exchanged numerous text messages and Snapchat videos with his then-girlfriend about his interactions with Spacey at the Club Car bar on the beach resort island off the coast of Massachusetts but never mentioned the alleged sexual assault. His appearance in a crowded courthouse surrounded by television trucks came at what is normally a quiet time of year the island. The 59-year-old actor is one of dozens of men in entertainment, business and politics who have been accused of sexual misconduct since accusations against movie producer Harvey Weinstein in 2017 sparked the MeToo movement. Spacey apologised for inappropriate conduct with Rapp. The controversy led to Spacey being dropped from the Netflix television series House of Cards and erased from the film All the Money in the World. The victim told police Spacey had bought him several rounds of beer and whiskey and said at one point, "Let&apos;s get drunk", according to charging documents. As they stood next to a piano, Spacey groped Unruh&apos;s son, the busboy told investigators. 5. David Leyonhjelm to contest NSW election. Liberal Democrats senator David Leyonhjelm believes his chances of winning a seat in the NSW parliament are strong as he calls time on his federal political career. The controversial libertarian says after working on parliamentary committees looking at "nanny state" and red tape issues, he believes his aims can be better achieved in state parliament. He plans to quit federal politics by March 1 and will contest the state&apos;s March 23 election. Senator Leyonhjelm says he isn&apos;t concerned about competing against one-time Liberal Democrats member and former Labor leader Mark Latham, who is running for One Nation in the state&apos;s upper house at the election. The NSW senator believes they&apos;ll both be elected and says his chances are "strong". He said NSW was becoming "nanny state central" and if elected to the upper house would tackle laws around liquor licensing, where smoking is allowed, vaping, gambling, lock-outs and voluntary assisted suicide. Senator Leyonhjelm will continue his push to legalise cannabis for recreational use and supports pill testing at music festivals but wants it to be privately-funded. The sole Liberal Democrats senator was engulfed in controversy in 2018 after he told Greens&apos; Sarah Hanson-Young to "stop shagging men" in parliament. Senator Hanson-Young is suing over interviews Senator Leyonhjelm gave between June 28 and July 2 to Sky News, Melbourne radio station 3AW and the ABC&apos;s 7.30 program, and a media statement posted on Medium.com on June 28. Senator Leyonhjelm doesn&apos;t think the lawsuit will hurt his chances in the election saying the two senators have "radically" different support bases. He was first elected to the upper house at the 2013 federal poll and re-elected at the 2016 double dissolution election.